Have you found yourself feeling like your life has hit a dead end? If so, it’s time to step back and look at the story giving you the wrong directions. 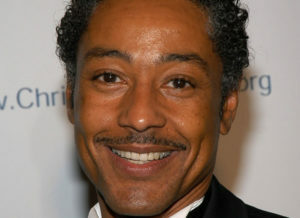 Giancarlo Esposito, the actor who plays Gus Fring in “Breaking Bad” and “Better Call Saul,” is Italian and black. In early auditions, directors rejected him. His skin color didn’t match what they expected to see based on his last name. Feeling worthless and defeated, he just walked away. Finally, Esposito decided to change his story and said, “Why not give me a try, why does this character have to be white?” He drove out of his dead end life. Esposito transformed his story and helped directors and casting agents see beyond race and name into his humanity and talent. Your story isn’t inside of you. It’s you, your voice, your manner of dressing, how you walk, what you do, who and what you listen to, and how you look at the world. When you step back, you see everything in life is a story, from how you were conceived to the person you’re sleeping with, to your last job. Your failure to see life and events as stories can result with you becoming a character in a story leading to a dead end. Transform your story to transform your life. Trapped in a dead end has made you forget the story of the life you’ve dreamed about, once had, or aspired to live. It’s never too late, or too early, to transform your story. Carol Goodman, the author of the novel, The Seduction of Water, explained how the power of oral storytelling influenced her writing and life. It’s what my mother gave to me through a lifetime of storytelling: the ability to make sense out of one’s own life and, out of that sense, craft the best life. Next time you’re feeling trapped, depressed, or limited, make time to listen to the story you’re telling yourself. Look for the tools, resources, and people you may need to help you transform your story into one you want to tell and to live. Click here for a free ebook introduction to transforming your story. If you don’t need to change your story now, maybe you know someone who does. Share this article with them. And comment below on how your life changed when you transformed your story.